Small businesses in Brisbane, and around the globe, do not have the luxury to leave all of their business assets – tangible and intangible – unprotected which is why they value security so much and make it a serious priority. Most of these small businesses install security systems as their frontline defense in battling would-be thieves – those who are after your tangible assets and after your important information and online assets. There are different alarm systems available in the market and each type has their own features and functions. For this purpose, we have outlined three probable alarm systems that you can use to protect you Brisbane-based small business. 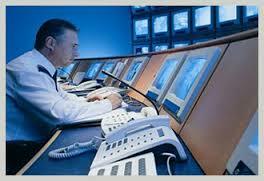 There are several alarm monitoring companies around Brisbane, such as Brisbane Alarm Monitoring Security Services. Alarm monitoring companies provide security services for your business, whether small, medium, or large in size. These alarm monitoring companies make sure that when an alarm is tripped, either via motion detectors or broken windows and/or doors, the local authorities are immediately made known of the detection. Their purpose is to make sure that every client is protected from anyone trying to get access to the building after-hours. Generally, there are two types of alarm systems. The first one uses alarms or the so-called “bells only” alarm systems. The second one is the monitored alarms or those that are observed by monitoring companies. There are various kinds of bells only alarms in the market., including DIY alarms. You can choose from the different types available depending on your small business’ needs. Do not buy cheap alarm systems that you don’t know how to set-up properly as they can be a waste of money and time. No matter your choice, you have to make sure it’s functional. Also, once you have decided on the alarm type, put a warning sign somewhere in your building or premises to let people know (e.g. 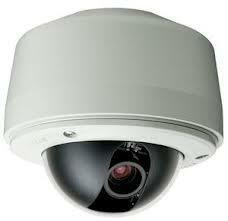 customers) that you have installed alarm systems around your building. This is for them not to be concerned or shocked once it sounds and for them to feel secure as well. On the other hand, a monitored alarm system is usually monitored by a private company and is in-charge of handling emergencies, in cases where the alarms are triggered. The monitoring service provided by BAMSS is monitored 24 hours. When triggered, the monitoring company is notified, and they will be the ones to notify the different agencies (e.g., police, fire department) about the event. Make sure all confidential files are kept securely (in locked fireproof safes if possible) and that access to them is monitored regularly. Do not give access to any random employee of your business. Passwords to important online files and documents should only be known to important and key people of the business. DO not let regular employees know them. These should be changed regularly. Have your security systems checked regularly. Choose you alarm monitoring company wisely. Plan you security steps with experts. Do not make impulsive decisions. We have established ourselves as a leader in providing innovative, cutting-edge and cost effective solutions in security, CCTV, access control and home automation.